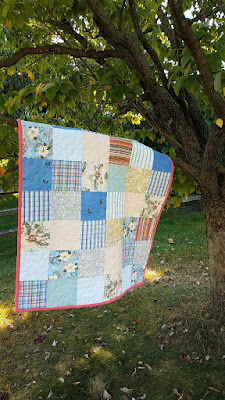 This baby quilt is extra special because it contains the baby's grandmother's shirts. Sadly she is no longer with us. What a wonderful way to honor her with this baby shower gift that will become a family heirloom, truly priceless!